Made predominantly from trees, corrugated packaging is both renewably-sourced and the most recovered packaging material in use today. In fact, 93 percent is recovered and recycled to make new boxes and other paper products. Corrugated’s successful recovery rate contributes to overall improvements in the industry’s environmental impact. Released to the public in June 2017, the latest corrugated industry life cycle assessment (LCA) confirms continued environmental progress through increased efficiencies in mill energy systems, increased use of low-impact fossil fuels, and increased recovery for recycling. Commissioned by the Corrugated Packaging Alliance and conducted by the National Council for Air and Stream Improvement (NCASI), the LCA found that corrugated packaging recovery reduced the industry’s greenhouse gas emissions (GHG) by 35 percent between 2006-2014 by keeping corrugated out of landfills. Methane emissions from landfills are a significant contributor to global warming. Click here to learn more about the corrugated industry LCA. Also, paper mills have shifted their fuel sources further away from non-renewable fossil fuel sources like oil and coal. In 2014, the fuel mix used by mills consisted of 73 percent natural gas – a 27 percent increase since 2006. Increasing the amount of natural gas used relative to non-renewable fuels reduces contributions to global warming and greenhouse gas emissions. 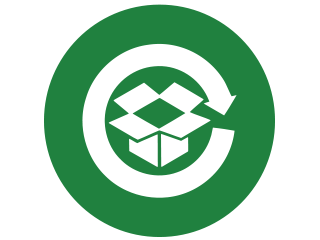 Learn all about recycling corrugated packaging here.